VINEYARDS: Best vineyards in Appiano and around Appiano. VINIFICATION: Long maceration and low temperature fermentation in steel tanks and then the wine is aged and refined in new barriques / tonneaux casks. "Falstaff Magazin" has rated the wine "St. Michael-Eppan San Michele Appiano Sanct Valentin Blauburgunder- Pinot Nero Sudtirol - Alto Adige, Trentino-Alto Adige, Italy" the vintage 2012 on 23.06.2015 with 92 of 100 points. "Wine Enthusiast" has rated the wine "St. Michael-Eppan San Michele Appiano Sanct Valentin Blauburgunder- Pinot Nero Sudtirol - Alto Adige, Trentino-Alto Adige, Italy" the vintage 2011 on 06.01.2015 with 89 of 100 points. "Falstaff Magazin" has rated the wine "St. Michael-Eppan San Michele Appiano Sanct Valentin Blauburgunder- Pinot Nero Sudtirol - Alto Adige, Trentino-Alto Adige, Italy" the vintage 2011 on 24.06.2014 with 91 of 100 points. "Wine Spectator" has rated the wine "St. Michael-Eppan San Michele Appiano Sanct Valentin Blauburgunder- Pinot Nero Sudtirol - Alto Adige, Trentino-Alto Adige, Italy" the vintage 2010 on 31.05.2014 with 91 of 100 points. "Falstaff Magazin" has rated the wine "St. Michael-Eppan San Michele Appiano Sanct Valentin Blauburgunder- Pinot Nero Sudtirol - Alto Adige, Trentino-Alto Adige, Italy" the vintage 2010 on 25.06.2013 with 90 of 100 points. "Luca Gardini" has rated the wine "St. Michael-Eppan San Michele Appiano Sanct Valentin Blauburgunder- Pinot Nero Sudtirol - Alto Adige, Trentino-Alto Adige, Italy" the vintage 2011 on 02.11.2012 with 86 of 100 points. 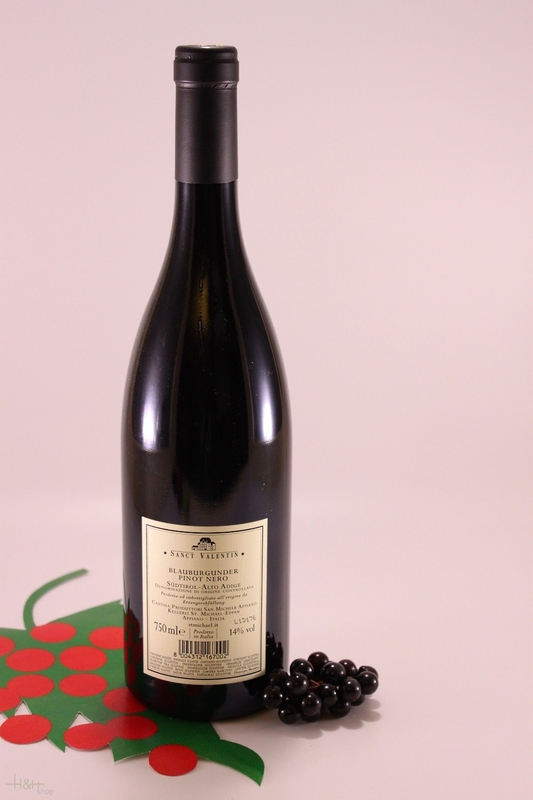 "Falstaff Magazin" has rated the wine "St. Michael-Eppan San Michele Appiano Sanct Valentin Blauburgunder- Pinot Nero Sudtirol - Alto Adige, Trentino-Alto Adige, Italy" the vintage 2008 on 13.07.2011 with 90 of 100 points. "Vinous Antonio Galloni" has rated the wine "St. Michael-Eppan San Michele Appiano Sanct Valentin Blauburgunder- Pinot Nero Sudtirol - Alto Adige, Trentino-Alto Adige, Italy" the vintage 2006 on 01.10.2009 with 88 of 100 points. "Wine Enthusiast" has rated the wine "St. Michael-Eppan San Michele Appiano Sanct Valentin Blauburgunder- Pinot Nero Sudtirol - Alto Adige, Trentino-Alto Adige, Italy" the vintage 2003 on 09.01.2007 with 90 of 100 points. "Vinum Wine Magazine" has rated the wine "St. Michael-Eppan San Michele Appiano Sanct Valentin Blauburgunder- Pinot Nero Sudtirol - Alto Adige, Trentino-Alto Adige, Italy" the vintage 2001 on 01.02.2005 with 16 of 20 points. "Vinum Wine Magazine" has rated the wine "St. Michael-Eppan San Michele Appiano Sanct Valentin Blauburgunder- Pinot Nero Sudtirol - Alto Adige, Trentino-Alto Adige, Italy" the vintage 2002 on 01.02.2005 with 16 of 20 points. 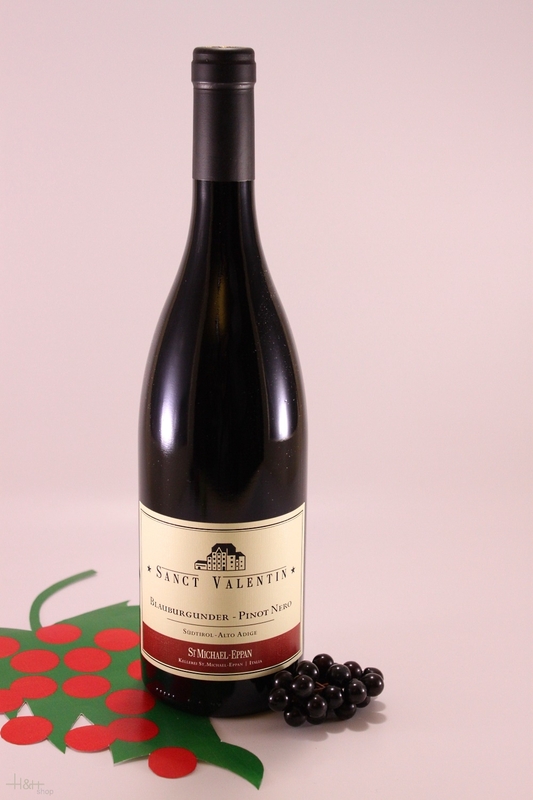 "CellarTracker" has rated the wine "St. Michael-Eppan San Michele Appiano Sanct Valentin Blauburgunder- Pinot Nero Sudtirol - Alto Adige, Trentino-Alto Adige, Italy" the vintage 2008 with 88 of 100 points. "Vinum Wine Magazine" has rated the wine "St. Michael-Eppan San Michele Appiano Sanct Valentin Blauburgunder- Pinot Nero Sudtirol - Alto Adige, Trentino-Alto Adige, Italy" the vintage 2000 with 16 of 20 points. "Vinum Wine Magazine" has rated the wine "St. Michael-Eppan San Michele Appiano Sanct Valentin Blauburgunder- Pinot Nero Sudtirol - Alto Adige, Trentino-Alto Adige, Italy" the vintage 1999 with 15 of 20 points.